We’ve received and have published this article written by Camilla Fatticcioni, author of the blog “Per Quel Che Ne So Io“. I’m writing this article from Hangzhou, a beautiful city located on the east coast of China, not far from Shanghai. This year was my first year as a student in a university in China. Last March I applied for a Chinese government scholarship and now I find myself here counting down to my return to Italy for summer vacation. The reason why I chose China as the place to continue my post graduate studies is quite simple: I studied at the Ca’ Foscari University in Venice, school of Oriental Society Languages and Culture choosing a curriculum on China, and for this China seemed the easiest and most direct way to continue my studies and deepen my linguistic and cultural knowledge learned in Venice. I came to learn about the chance of this scholarship a year ago, when I was already in China during one of my first trips to the “Middle Kingdom”: in fact, in 2016 I had won my first scholarship, the one reserved each year by the Confucius Institute, which gave me the precious chance to better study the language in Lanhzou, in Gansu Province. To be honest I wasn’t too excited about the city where they decided to send me. I was hoping that I’d be placed in the frenetic atmosphere of Shanghai and instead when I got off the plane I found myself in front of a reality that was a little more backward and still evolving. I was still able to make the most of this first experience in China, not just improving my Chinese which was at the time still really basic, but also maturing the idea of staying in China: thanks to Lanzhou, somehow I fell in love with China. At Lanzhou University I met lots of students who were there thanks to this scholarship disbursed by the Chinese Government. Why not give it a shot? And here I am in China writing about this precious opportunity that fell into my hands. How did I come to learn about this scholarship and how did I apply? 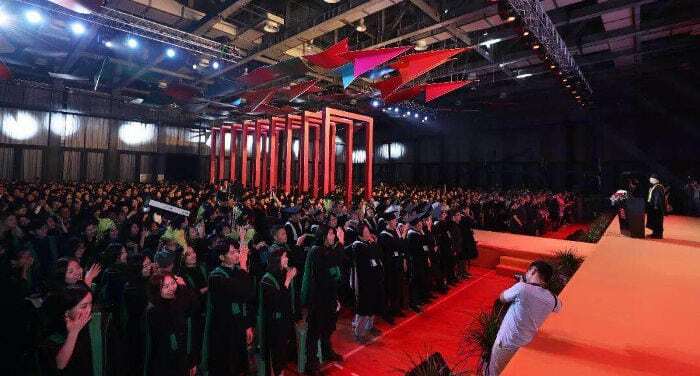 Many students in Lanzhou fully illustrated the pros about studying in China, such as perfect mastery of the language, the international atmosphere and the chance to study at the expense of the Chinese Government, receiving 3,000 Yuan every month. I decided to try it, even if it was at the last minute: enrollment for scholarships usually open up toward mid-January and close between the end of March and beginning of April, but every university has their own timetables. The most prestigious universities such as Fudan in Shanghai or Beida in Beijing usually close enrollment for scholarships very early, like the end of February: this slightly restricted my choices since it was March before I thought about applying. China is a huge country, and as a result it has lots of universities: excluding the most famous ones, there’s still a wide selection. I found myself spending entire afternoons examining every single university website: there was lots of confusion in my mind, typical of someone who has no idea of what to do. Thanks to this headache-inducing and red-eyed experience from too many hours spend in front of a computer screen, now I can give advice that can facilitate your choosing a university in China for those looking to take on this adventure: first of all, you need to concentrate on choosing a city. The choice of a city is extremely important, almost more important the university itself; because living in a city for an extended time, for example one with an extreme climate or a general location that you don’t like, can make your experience in China a nightmare, even if the university is considered among the best in the world. After my experience in Lanzhou I decided to look for a greener, more “westernized” city than the capital city of Gansu Province and China’s southeast seemed perfect: cities such as Hangzhou, Suzhou, and Nanjing are among the most beautiful, even if they’re not as famous in the West as Shanghai and Pechino. As I already said, China is enormous, so when looking for a place to live don’t just focus on the most famous tourist locations, because there are lots of other cities that offer a less chaotic lifestyle than some of those metropolises and are just as pretty. I had a friend that fell in love with Wuhan, capital of Hubei Province, and I met young women who found their place in Chengdu in Sichuan Province, and those who madly loved Lanzhou! It all depends on your tastes and your image of an “ideal city” to live in, so do lots of research on Chinese geography, and better yet, take a little exploratory trip that can help you make this fundamental choice. After picking out a city, move on to selecting from their universities on offer, especially those with a scholarship program. I recommend that you consider the ranking of Chinese universities not because it’s so important to choose the first ones listed, but to at least avoid the lowest ones. To move ahead with a scholarship application you can also choose more than one university (for example, I chose three) and you must fill out the application through this website, where you can also see programs and masters offered by the various universities that belong to the scholarship program. Each university has their own rules for choosing the winning students, so it’s recommended that you also study your preselected university’s website under the heading “scholarship”. After choosing the university I started another ordeal: gathering and sending all the necessary documents. As I already mentioned, you need to create an account on the website linked above, and fill out all required headings. Obviously if you want to apply to more than one university you’ll have to create different accounts with different corresponding email addresses. Along with the application form to be filled out on the scholarship website, you need to attach the required documentation, which are usually: your diploma, or if it is not yet available, a list of exams taken, two letters of recommendation written by your professors, any Chinese language certifications, a medical certification that attests that you are in good health (you can download the one required by Chinese authorities on the internet and have it filled out in English by a doctor) and a “study plan”, which is a sort of motivational letter where you express the objectives you have reached and those you hope to reach, what you’re expecting to accomplish in China and why you want to go to school there. I believe that it’s this last point that’s most important and what will make the difference between getting accepted or not. It can be written in either English or Chinese and I recommend that you draft it carefully both in terms of form and content. Once you’ve uploaded all these documents, you can download the scholarship form available from the same website. Finishing your online compilation, now it’s time to compile things for your chosen university: as I said before, since each university has their own rules, some require the same documents inserted online, others require an extra essay to evaluate each candidate’s competency for the masters they have chosen. Some universities allow you to send the documents by email, but the majority require you to send multiple copies of paper documents. I remember those days on the razor’s edge, sending all the documents just before time expired. And that’s how at the end of July 2017 I found out that I won the scholarship for the China Academy of Art in Hangzhou, one of the most prestigious art academies in China. There wasn’t much warning; the acceptance letter came very late, and the documents to apply for a visa came in late August: I found myself running again to get a visa in time and prepare for my departure in mid-September. And like that, always on the run, I landed in Hangzhou last September: everything happened so fast, chaotic and frenetic before leaving, and all my friends asked me why I would ever choose to go to China for 4 years. 4 years, an eternity I thought when I heard back from the university: I was given a three year masters program and another year of Chinese since I still hadn’t passed the HSK 5 exam, that is level C1 in Chinese required to begin my masters. Many universities include a year of Chinese before a masters, and I wasn’t surprised since I know many students who came to China to complete their masters without any knowledge of the language. So this was my first year of Chinese, during which I managed to better orient myself within the university and understand the organization. It was this so-called “adjustment year” that was so precious to me, despite the numerous difficulties. I spent my first month in Hangzhou inside offices: it is really important to go to the police station to request a residence permit, just as it’s essential to have a medical checkup to attest to your health condition. In China you have to handle this on your own; I don’t dare to imagine those poor people who’ve just arrived here without speaking a word of Chinese and need to get a debit card or activate a sim card. In such a case I recommend that you get the help of a native speaking Chinese kid or a friend that’s already fluent in the language, otherwise you’ll spend the majority of your time with a stunned look as you try to understand why the lady at the bank is screaming at you. In order to receive the money for your scholarship you need to have a debit card. Each university has their own policies about it: some have banks that they are affiliated with, others give it to you directly via a debit card you need to activate. No matter what, that will be the card where your scholarship will be deposited each month. A Type A scholarship offers 3,000 Yuan a month, covering health insurance, university fees and a university dorm room to stay in, which is usually double occupancy: not bad, right? I was very fortunate with my dorm room: a private bathroom, spacious room and a central location. Strangely the dorm rooms reserved for foreign students are usually much better than those for Chinese students, but you can also be very unfortunate and many dormitories in China have showers and bathrooms shared by more than one person. If the idea of living in a double room doesn’t appeal to you, you can pay a little extra to have a single: since my scholarship covered half the price of my single room, and considering the very central location of my university and the actual price of rents, it was actually a really good deal. How does a masters work in China? For a Westerner going to live in China (and especially an Italian) it means having to adapt, which at the beginning isn’t at all easy: just as with all new places you need to do a lot of exploring and at times even finding a simple supermarket can seem to be a unprecedented heroic encounter. Many of my friends at the university arrived without knowing how to speak Chinese, and the language is another obstacle to overcome, especially when it comes to eating. Fortunately I already had my experience in China and the beginning of my time in Hangzhou didn’t produce such a strong culture shock, but I had my difficulties understanding how my university and masters program really worked. Unfortunately university officials weren’t of much help, but I got excellent advice from students with more experience than I at this university. The first rule of survival at a Chinese university is to be patient; it will take some time to understand how the system works and the secret is to not give up: each university has their own rules and is structured differently, and mine allowed plenty of freedom to choose courses and lessons, the so-called elective courses. Besides the elective courses and the first year of Chinese I will have also taken over the course of the years the mandatory classes, the ones you need to take before getting your degree: these are usually classes on Chinese culture or advanced Chinese language. The next year I’ll have to plan my studies along with my 导师, that is my supervisor: each foreign student has their own supervisor, a professor that will follow you along your route. The first year of Chinese will make you feel like you’re in high school: it is really important to attend classes and as a student on scholarship, too many class absences could result in expulsion or at the very least effect your final grade. After the first year of Chinese, students are generally required to pass the HSK 4 exam. For many beginners it could seem impossible to reach level B2 in Chinese in less than a year, but I can assure you that I saw people make giant leaps: 5 days of classes from 7 in the morning until the evening and living in a country where it is rare to meet someone who speaks English will make you capable of passing this type of exam with your eyes closed. However I must be honest: the idea of starting my masters in Chinese Art History next year scares me a little: all the lessons will be in Chinese, and even the essays that must be submitted at the end of each course must be written in Chinese, except in the rare occasion where the professors accept texts written in English by foreign students. I shared my concerns with other companions at the university and discovered that I am absolutely not alone, and that what I’m looking to do requires hard work but is certainly not impossible. Just to recap, in order to finish your course of studies in China you have to finish your first year of Chinese by passing the HSK 4 exam, then you have to take all the obligatory classes and choose at least six electives, and besides your thesis, to graduate you also have to pass the HSK 5 Chinese language exam. This is for getting your masters in Chinese, but at some universities you also have to do a masters in English: the indispensable requirement to get a masters in English is naturally a language certificate such as IELTS or TOEFL. A masters in English has a different structure than one in Chinese. First of all the lessons are taught by international professors or Chinese professors flanked by translators, and additionally Chinese language classes are offered even though there’s no requirement to pass an exam. The first two years in China could make you feel like you’re still in school: you can’t have too many absences, you have homework, and if you don’t feel well, you need to justify why you should miss class. But after that first period you can fall into the opposite situation: too much freedom. In fact, after the first two years, a course of study in Chinese universities generally allows their students quite a bit of freedom: classes aren’t so frequent and at times you can fall into the trap of idleness. It’s important to keep yourself active, stay informed of all university events and continue with your research. The freedom that getting a masters in China allows is a two-edged sword. For example the last year of my masters there are no classes and you can even go back to your home country to continue and finish your thesis to graduate. Getting a masters in China helps you to grow from various points of view, firstly in organizing your time: organizing your time well is essential wherever you are, especially in China since the university and professors can change classes or class times at the last minute. You need to be flexible and organized and have lots of patience: you need to keep these three essential words in mind when living in China. I believe the international atmosphere is the best part of studying in China: I’ve had the wonderful chance to meet people from all over the world, to learn about different cultures and come across different realities. From a personal point of view, finding myself in a country so different than my own is truly a beautiful opportunity. I won’t hide that you could often feel lonely, far away from your own roots and reality. There are days where communicating with university officials seems impossible and arranging your schedule around professors’ communications is a big headache. In the end I managed to view these problems as the same as anywhere else in the world, it’s just that in China they seem to be enlarged by the linguistic and cultural differences: my choice may seem courageous to many, but it really isn’t. Rather I think that it’s simply a question of attitude and natural predisposition to face what’s “new” and “different”. I recently attended my friend’s graduation, who is also a foreign student who has spent more than four years in Hangzhou: it seemed incredible to me that she wrote and discussed her thesis entirely in Chinese. I held her as sort of a genius until she told me that when she arrived here she had my same thoughts and concerns, and never thought she’d be able to graduate with the best possible grades. I was happy to see her with her gown and a hint of a smile there along with her classmates and Chinese friends. Recently the video of a graduation speech by a young Italian man (Carlo Dragonetti) who recently graduated went viral throughout the world, where he spoke in front of an audience of thousands of people in perfect Mandarin Chinese, sarcastically talking about the mythical “powers of hot water”, called 开水 in Chinese, held as a wonderful remedy by every Chinese citizen for curing all ills. I wrote this young man to congratulate him and ask him for suggestions based on his experience and to find out how much work it took to reach such a difficult objective: he responded that he too never thought he could do it in the beginning and was never someone who was particularly dedicated to his studies, but still managed to reach this achievement. Who knows if the hot water, “the cure-all” for all ills by the Chinese, will also help me get my degree in China! Studying in China is an extraordinary undertaking and presupposes, for those who want to try it, the need to make a few small sacrifices along with a discreet spirit of adjustment, but also an experience that can gift you lots of wonderful opportunities for personal growth and a ton of experiences of rich intercultural knowledge. All that’s left to do is to wish you the best and to warmly welcome all students to China – Italians or otherwise – who want to have this fantastic experience in their studies and life: 加油! Camilla has lived in China for three years. After an incredible experience in Lanzhou, she decided to apply for a scholarship from the Chinese government. Presently she studies in Hangzhou, at the China Academy of Art, to get my masters in art history: with a suitcase and camera in hand, always ready to travel in China or, more in general, in Asia.